In our era of social media, all of our actions are captured and broadcasted to the world. Every person becomes a performer and every performer needs a spotlight. 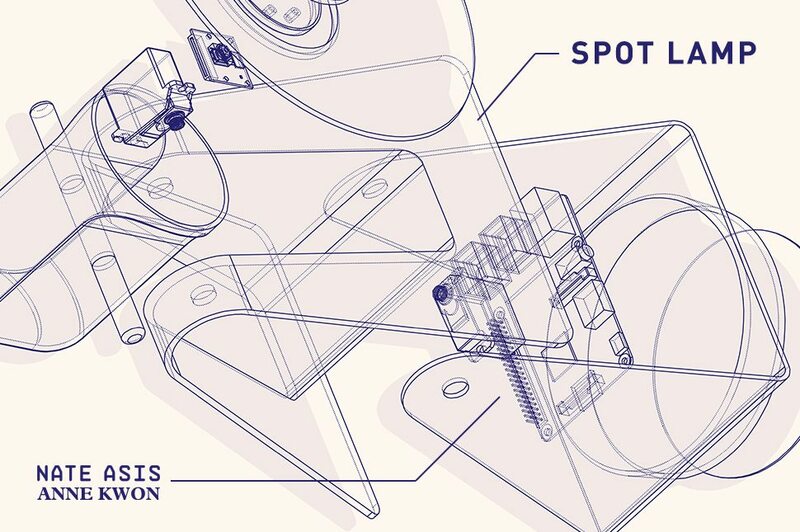 Spot Lamp is a motion tracking table lamp that pans from left to right, tracking the people that walk by. Just as you “follow” people on the social media, the Spot Lamp follows passers-by and waits for their next move. 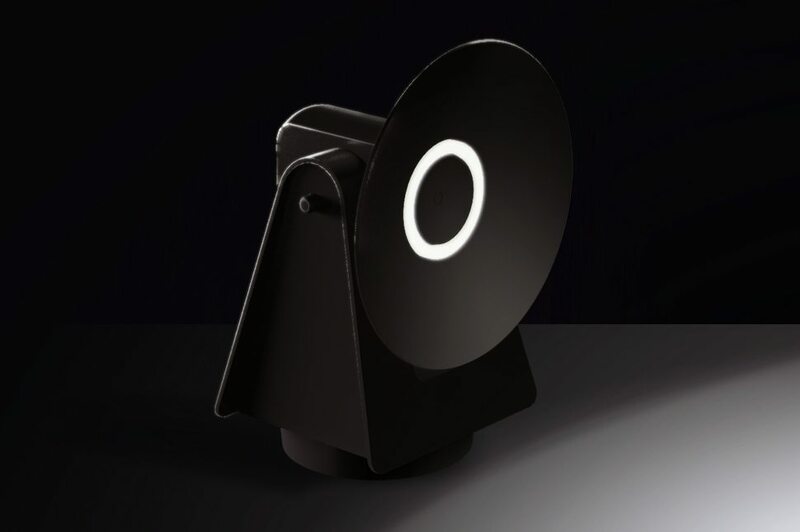 The Spot Lamp blends the language of a security camera and a theatrical spotlight and brings it into a domestic object.